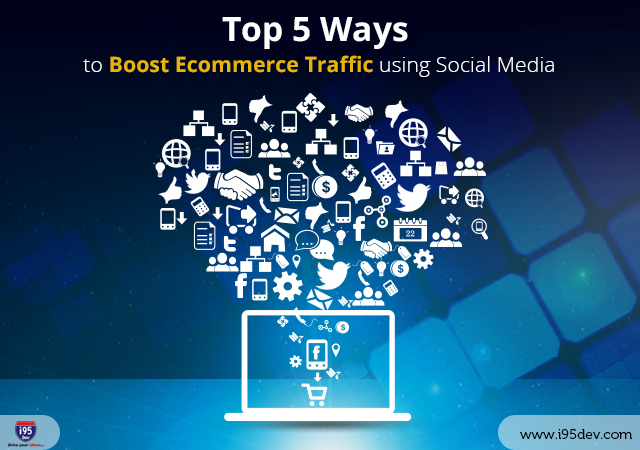 Boost ecommerce store traffic using social media: The use of social media to boost traffic to your e-commerce store is more of an art form than a science. This is in part, due to the relative immaturity of social media as a commercial tool, but it is more related to the nature of the platform. Most users of social media sites are not eager to receive more marketing messages as they engage with friends, so social media advertising must be more adept at subtly introducing product or brand content. Many businesses are only beginning to embrace the image site Pinterest to help them boost sales. In the three years it has been in existence, Pinterest has burgeoned into the third largest social media site behind only Facebook and Twitter. The more than 70 million users of Pinterest view almost 2.5 billion page views each month. More importantly, posting appealing and compelling images of products on this site can stoke consumer interest in your business. The recent introduction of rich pins allow photos on the site to display pricing and availability information which further boost enthusiasm for purchasing. Although most social media users don’t want to be constantly confronted with ads and market-speak, they are often eager to learn about the best new deal. You can use communities on Facebook or Google+ to help promote your company by spreading the word about free giveaways, new content, or limited time promotions. This type of promotion is likely to generate enormous buzz and traffic, which will in turn help produce a lot of dialogue about your products on these platforms. Many applications utilize Facebook ids to facilitate logging in, but using social media info during check out can be an excellent tool to expedite purchases. This not only improves the buying experience, but you may be able to link to their Facebook or Twitter account in the process, helping to solidify this customer relationship. Social media can be an enormous boon for products that meet with the approval of online consumers. If your friends and online associates rave about a product or brand, this can yield an immediate bump in traffic to your e-commerce store. If your products are amenable to free samples, this is an easy way to earn consumer favor. YouTube and Facebook are ideal venues for posting videos about your products, personnel or organization. Not only does this help create a genuine relationship with consumers, but if properly produced, it can help stoke curiosity or enthusiasm about your company. For the latest tips and expertise on leveraging social media to boost e-commerce traffic, contact the specialists at i95Dev.